Dance and music oscillate on similar tracks. They share an ephemeral nature and an ability to illuminate human experiences in ways words cannot. Their similarities prompted the late French choreographer Maurice Béjart to state that “dance is visual music.” ODC’s Music Moves Festival, which spans over four weeks in August, explores the continuing dialogue between the two art forms. ODC Deputy Director for Advancement Christy Bolingbroke curated the festival and tells us more about its programming. Marie Tollon: Can you tell us how this festival came into being? Christy Bolingbroke: Part of our mission is to engage, inspire and cultivate audiences. I don’t want to just look for a theme or an idea that’s relevant, but I also want to make sure that it’s about access points for audiences to tap into art. In terms of learning music, my experience was through my own work with the Mark Morris Dance Group and realizing there that the dance audience is only so big and music audiences are a little bit bigger. It was a great entrance for music audiences to appreciate dance by looking at it through the lens that they are most familiar with, being music. And I wanted to use that as a conversation point for this entire season. And then some other things dovetailed. We were doing the Next Moves summer intensive for pre-professional adult dancers and I wanted to make sure to really amplify our summer performance programming. So it became more of a festival, over 4 weeks, with 11 programs, as opposed to a season-long idea with just 3 or 4 events. MT: The festival includes yearly programs such as Summer Sampler, Dance & Diaspora, and Theater Unplugged. How are they customized to fit the festival’s theme? 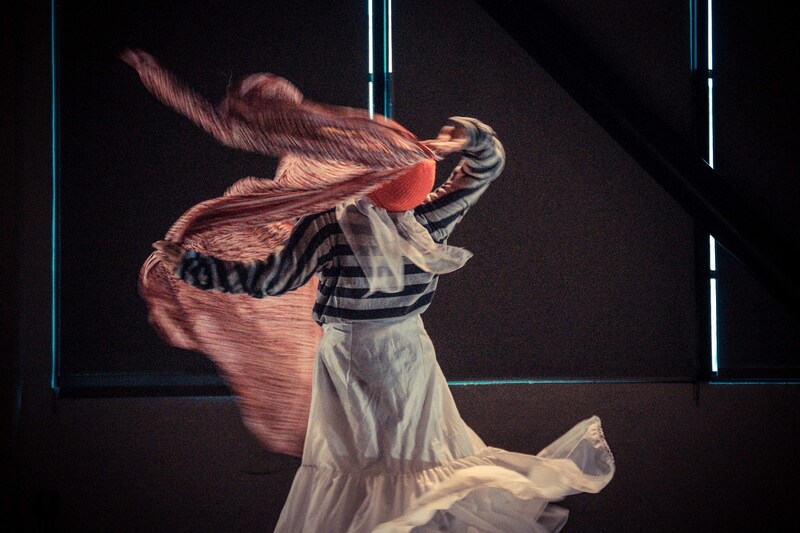 CB: The festival’s theme worked very well with some of the things we were already doing like Summer Sampler with the flagship company, or Dance & Diaspora, our ongoing exploration into culturally-rooted dance forms and where our global dance faculty are taking it. Music is a natural tie there. With Theater Unplugged, a mini-residency, why not elucidate the opportunity for audiences to see how music as a choice really informs the making of the work? Not to say that every artist works that way but I was specifically looking for artists to go on that journey with us. Antoine Hunter and Milissa Payne have totally different approaches and I’m excited for them to be in conversation. In terms of how we can raise audiences’ awareness on how they are connecting with the work, it is questions like “Did you know that music? Did you come in already thinking that Bach’s Goldberg’s variations should be something and if someone creates a dance to that, and it counters what your expectation was, what does that look like?” that informed the programming of the Thursday, Friday, Saturday dance shows. They have different music choices and sometimes it might be music that people are familiar with and sometimes it might be original music. The Sunday, Monday and Tuesday shows are about voice and embodied music. We talk about artistic voice a lot, and that doesn’t always mean the actual vocal sound in dance. Playing with how we could illuminate that for audiences was something I was really interested in. And then it becomes about bringing the coolest, most interesting and fascinating people, both West Coast-based and elsewhere while tying it back to the Next Moves curriculum’s three different tracks: contemporary performances, American cultural forms and dance thinking. MT: Although you don’t necessarily have a say in the music choice that the artists are making, does the festival abide to a larger definition of music, including silence, spoken text, for example, as part of the soundscape? CB: It’s interesting when you look at music versus dance, how in dance, we try to categorize things all the time, but it’s still pretty general: there’s ballet and there’s not ballet. When we look at modern dance, so many people who see the work we do would call it ‘modern dance,’ and there would be some people who would say “It’s not Graham, Cunningham, Limon, or Horton, it’s not modern dance.” The general public doesn’t care about that difference; it’s such a small idiosyncrasy. While when you consider music, there are so many different genres: indie rock, jazz, blues, folk, classical, etc. Then world music has so many connotations to it. The reality is that in France, if they hear American bluegrass that’s actually world music to them. So I don’t have a specific guideline or [say to myself] “I want to expose people to all kinds of music.” It’s really about presenting quality and excellence as our core values whether that’s virtuosity or some demonstration of craftsmanship on stage that illuminates the power of art and creativity for our audiences. MT: What were you considering when choosing artists to participate in the festival? CB: Besides reaching our core values of quality and excellence, there is always the pragmatic “Who is available, who is around?” Regardless what the overall arch or curatorial theme for the year is, I am also personally interested in artists that straddle the high brow and low brow, the conceptual and the contemporary art performance. San Jose Taiko and The Bangerz, Pearl Marill do that. I’m looking for artists who are not just selling a particular idea or work but are willing to share their creative exploration with us. When I had seen Irresistibly Drawn and found out that [Joe Goode] was interested in touring it, I wanted to host it as a great musical anthology of his work and a wonderful demonstration of the relationship between song and dance; priming audiences for the rest of the festival. 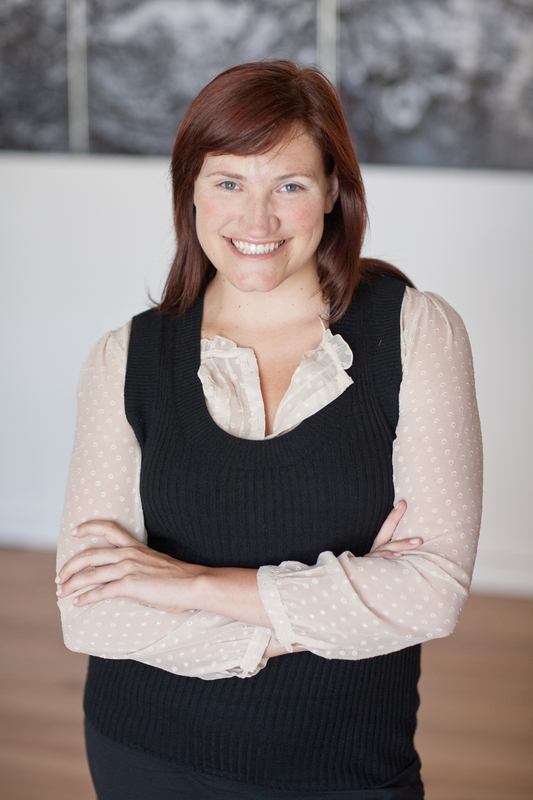 With Dance Heginbotham, it speaks to our role for nationally emerging artists in the arts ecosystem. 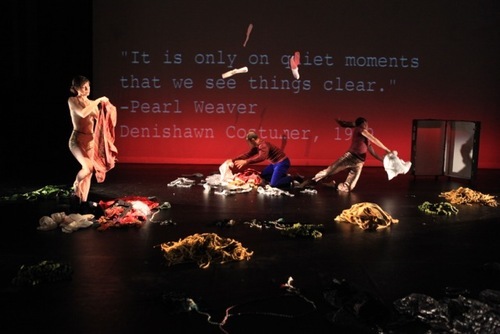 We are a launching platform for such artists, back to when Bill T. Jones, Karole Armitage, or Eiko and Koma had their West Coast debut at ODC [then New Performance Gallery]. John [Heginbotham] has experienced wonderful accolades so far and he happens to be a musical choreographer. 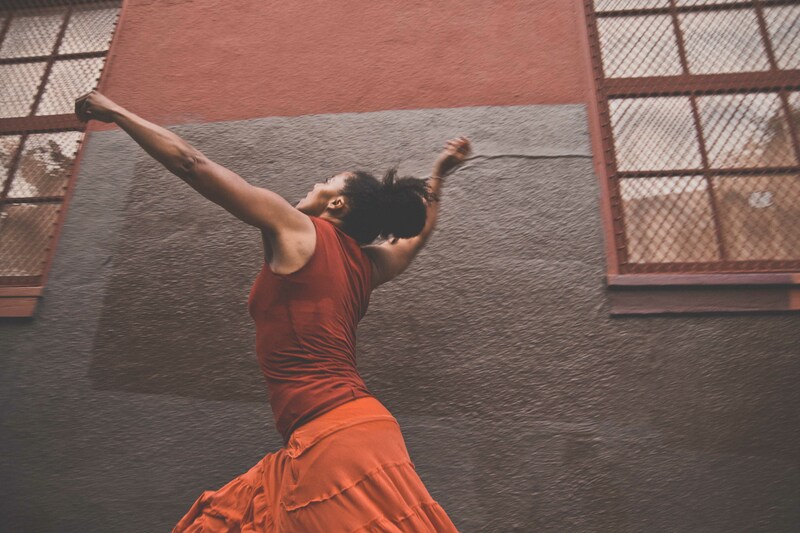 Music Moves is a tremendous opportunity to host Dance Heginbotham’s West Coast debut. And then there’s our role and who we are as presenters in the ongoing West Coast –East Coast conversation. We continue a relationship with Kate Weare and her work. And Randee Paufve, a wonderful mid-career artist whom we hadn’t seen on our stage in a while, had a piece that featured live cello and piano. Paufve and Weare have a lovely friendship offstage so this was a fortuitous double bill to further embed the coast-to-coast comparison in the festival. 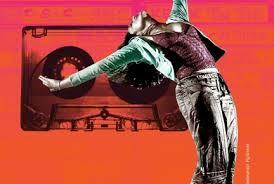 MT: The relationship between dance and music is the major thread running through the festival. Can you identify other commonalities between the curated artists? CB: I think that there is an inner connectivity. With Weare and Paufve, there’s always a question of lineage, and connection, how much is either implicit or explicit. The inherent relationship between movement and sound, and the embodiment of that, whether they are actually making noises themselves -like Keith Terry or Namita Kapoor- or are simply painting it in a visual way. With Rueda Con Ritmo, they will often have four different circles doing different choreographies to one music in their classes. It’s not just beautiful to watch, they are also illustrating the music in a different way. Something like that, with the sense of a community, also related to embodying an aesthetic for dance and music, is what is interesting to me. One of the things that Mark Morris would say is that singers and dancers are the closest possible because both have the same instrument, the body. That has always resonated with me. Dancers and musicians might not have the same sort of theme that they are exploring but that is a connective thread. That’s one of the reasons I’m delighted ODC/Dance will perform Breathing Underwater during Summer Sampler because it starts with one of the dancers [Natasha] singing a cappella. 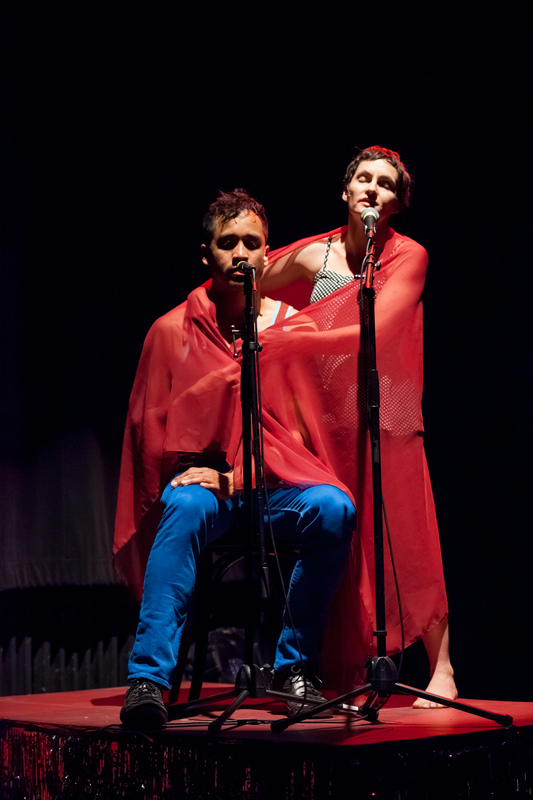 The first night of the Walking Distance Dance Festival featured a brilliant pairing by ODC Theater Director Christy Bolingbroke: Ruth Doesn’t Live Here Anymore by Lionel Popkin and two works by Headmistress, Mongrel and Shame the Devil. Each work on the program examined identity as collage of the ancient and the new. Headmistress is the collaborative team of Amara Tabor-Smith and Sherwood Chen, artists in residence at ODC Theater. Sherwood Chen performed Mongrel, a ritualistic, riveting solo performance. Entering the space, the audience saw Chen spinning without stop. Chen’s entire body was obscured by layer upon layer of mismatched clothing including a red balaclava, silver fabric tied around his mouth reminiscent of duct tape, mismatched gloves, heavy boots, several skirts and pants, and a small mirror hung around his neck. Covered head to toe, Chen’s uninterrupted spinning around the edges of the space—he never entered the central spotlight—became hypnotic. No face, no identity, no gender, no race, no recognizable dancing style: the ambiguity of the image threw a spotlight on my own need to locate meaning. (Later, when Chen removed the mirror from around his neck, he placed it on the floor to face the audience.) When Chen finally stopped spinning, the effect was electric. He began a postmodern striptease that expertly travelled back and forth between his internal world and the external reality of the audience. Occasionally stopping as if to address us, Chen would drop again into brief visceral dances like someone caught between past and present. Once shed, Chen’s motley bundle of clothing occupied a spotlight of its own like a patchwork identity no longer useful. Snippets of glitchy white noise came and went. Stripped down to one layer of simple black clothing, Chen passed in and out of the light through moments of slumped exhaustion and spinning bursts. In his final swaying backwards walk towards the audience, Chen held a small mirror so we could catch only portions of his face. It was an elegant and elegiac finale. Chen’s Mongrel shows us an ancient, subconscious body embedded in fractured contemporary consciousness. All we have to do is peel the layers away. Amara Tabor-Smith, the other half of Headmistress, performed Shame the Devil in the evening’s interstices. In the lobby pre-show and on the sidewalk between and after acts (Chen and Popkin’s company performed in different buildings), Tabor-Smith offered intriguing glimpses of deeply inhabited ecstatic states. Shaking, crying, and jumping, Tabor-Smith was possessed by shifting states often in close proximity to audience members paying varying degrees of attention. Tabor-Smith challenged an audience in transit to be present to the rituals of the performing body. Unfortunately, the Festival’s framing of Tabor-Smith’s material diluted its power: surrounded and often ignored by the Festival’s pedestrian foot traffic, Tabor-Smith’s potent presence did not receive the respect it was due. Similarly, a supporting ensemble of women that performed brief installations throughout the evening created satellites of imagery without context. Did Tabor-Smith choose to place these events outside the theater? Did she want to remind us how often we miss moments of transcendence? Whereas the pleasures of Mongrel arise from its ambiguity, the pleasures of Lionel Popkin’s Ruth Doesn’t Live Here Anymore arise from its intelligence. Popkin’s Ruth was performed here as an excerpt of a longer evening-length work, which makes it difficult to evaluate the work fully on its own terms. Nonetheless, even from the sample shown, Popkin’s voice shone through in a knowing, joyful conversation with the ghost of dance icon Ruth St. Denis, a conversation that functioned also as a vehicle for musings on the vagaries of translation. 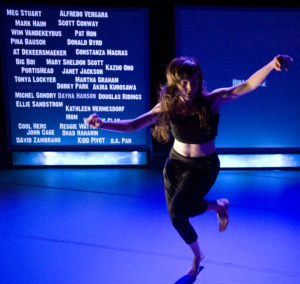 Popkin is the dance’s MC, narrating its conceptual underpinnings in confessional asides. Popkin introduced us to the importance of costume in St. Denis’ work as dancers unloaded several trunks full of costumes onto the stage. Carolyn Hall had a raucous headlong solo with the costumes, metaphors for pieces of identity that, in Popkin’s words, “slip off the skin.” Popkin also introduced us to St. Denis’ choreographic “kits,” which she created to allow others to reconstruct her dances. Projections of St. Denis’ choreographic notes provided the backdrop for Popkin’s playful mistranslations, which masterfully wove stylized gesture and postmodern pure movement. But movement invention per se is not the point of Ruth Doesn’t Live Here Anymore: Popkin is more concerned with the intellectual process of translating concept into choreographic structure. Popkin excels at creating rich task-based images with clear relationship to his source material. Popkin repeatedly kissing the body of Ruth (Emily Beattie) in unison with Hall tapping a microphone wonderfully conjured the image of the voice of the body. Another powerful image involved a flickering projection of St. Denis’ choreographic notes vanishing word by word over time to leave only redacted traces. In the dance’s final haunting moment, Popkin used a leaf blower to move a heap of costumes over the prone lifeless body (of Ruth). Like Chen holding a mirror up to his face as he backed toward his audience, Popkin revealed himself in fragments. At one point, Popkin blithely thanked his mother for providing the Indian saris used in the show, revealing a subterranean poignancy under the formidable intellectual skin of his work. Popkin made his ideas accessible, but kept his inner life out of reach.